I have been working on something for the Huffington Post for awhile. I can honestly say that I don’t think any of my photo ‘things’ every go exactly how I envision. But, I keep on truckn’. I have scrapped a few projects. Okay, I’m not sure where I’m going with this. I like to free flow… all the greats do it right? this post is going downhill and nowhere at the same time. I wanted to do something in a series, an ongoing project if you will. It’s taking a lot time, and willing subjects (my kids), so there have been a few hurdles, about three to be exact. 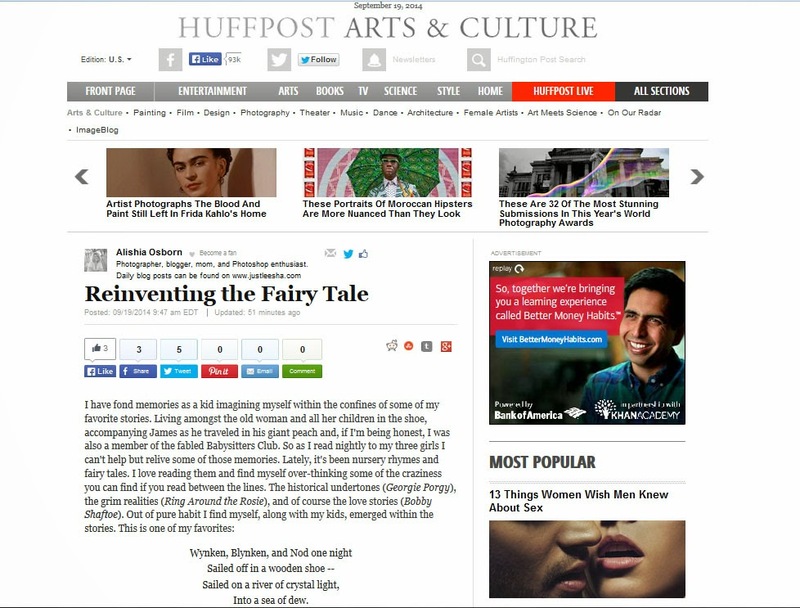 could you please like and share my post from the Huffington site? The more likes and shares I get of the the original article the farther up the roster I get to move. Thanks so much, especially if at this point you are still reading this. Loved the article!!! and that idea of the photo series, plus that little photo is fantastic!! for me… you are already famous!! congrats! Thank you so much Carolina! I’m happy hear you liked it! Can’t wait to follow along with the rest of the series! Love the picture and the story. Also looking forward to future photography posts. Thanks so much! 🙂 A little encouragement is always appreciated! !